Terms and Conditions: These are the terms and conditions of our agreement which apply to all purchases of products by you from EZCAP.TV and you should read them carefully. We may vary these terms from time to time and therefore you should check them before you make a new purchase. 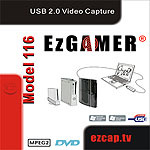 Order: You can submit an order for products to EZCAP.TV by completing the details required on the order summary page and clicking the send order button. All prices are reflected in £UK Sterling. Orders outside of the United Kingdom may be subject to an additional charge. Goods supplied are not for resale. We are under no obligation to accept your order, but would normally do so where the product is available, the order reflects current pricing and your payment is approved by or payment company. Acceptance of order: We will notify you of our acceptance of your offer to purchase by email shortly after we receive it and at that point a binding agreement between us will be in place on these terms and conditions*. If we do not accept your order for any reason or the price of the product has increased between the time of the order and our acceptance of it (or if a supplementary delivery charge applies), we will email you to advise you of the change. You will then need to resubmit your order. Only credit and debit cards are acceptable as payment for orders via this site. Gift vouchers are not accepted. Delivery: We make every effort to deliver all products within the United Kingdom within four working days of acceptance of your order. Where this is not possible, we will notify you and, unless we state otherwise, ensure that your products are delivered within 28 days from acceptance. This may not apply in respect of deliveries outside of the UK. All deliveries will be made to you at the address specified by you in the order. We may, at our discretion and expense, deliver parts of your order separately. All deliveries must be signed for and you will be responsible for the products as soon as they are delivered and found to be in conformity to the contract. If we cannot deliver the products to you at the address you have specified for any reason (other than when we are at fault), we will notify you. If you wish us to redeliver the products to you, a redelivery charge is payable by you. If we do not hear from you within 28 days, we will cancel the order and refund your payment to you less any reasonable delivery charges we have incurred. Payment: For standard delivery we will charge your account for payment at the time of placing the order. We take every reasonable care to ensure that your order and subsequent transactions are conducted via a secure link. As we are not responsible for the operation of the secure link we will not, unless we are negligent, be liable for any loss you may suffer if a third party obtains unauthorised access to any information you provide via such link. If products are not available for any reason after we have accepted your order, we will notify you and refund you in full. Consumer Protection (Distance selling) Regulations 2000. Right to withdraw: You have the right to withdraw from this agreement, but this right ends seven days after the date we deliver the products to you. You will not have to pay for any products and any amounts you have been charged will be repaid to you by way of a refund within thirty days. HOWEVER, we may have delivered (or dispatched) the products you have ordered. In this circumstance, you must return the products to us and pay the costs in doing so. To avoid this, we recommend that you advise us as soon as possible if you wish to exercise this right to withdraw. If you wish to withdraw, email our Customer Care Team at customersupport@ezcap.tv . Any products returned must be received by us in the same condition, in the same packaging as when we delivered them to you. Warranties: The products which are sold via this web site have been designed to comply with the statutory legal requirements and relevant safety standards of the United Kingdom. The products will be covered for a period of 12 months from delivery, from defects in materials and workmanship. We will replace products (or, where relevant, the faulty part) free of charge or, refund to you the price of the products by way of credit to your credit card or debit card account. This only applies if the instructions governing the use of the products have been followed. We will not have any further liability in respect of the products. This does not affect your statutory rights as a consumer.